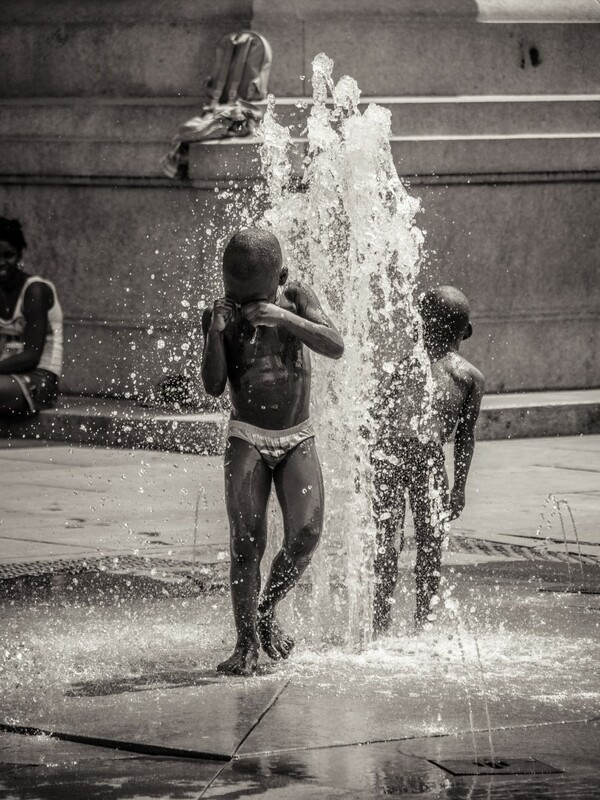 It was very hot this summer. According to data from Nasa, summer 2015 was the hottest on record in the northern hemisphere. 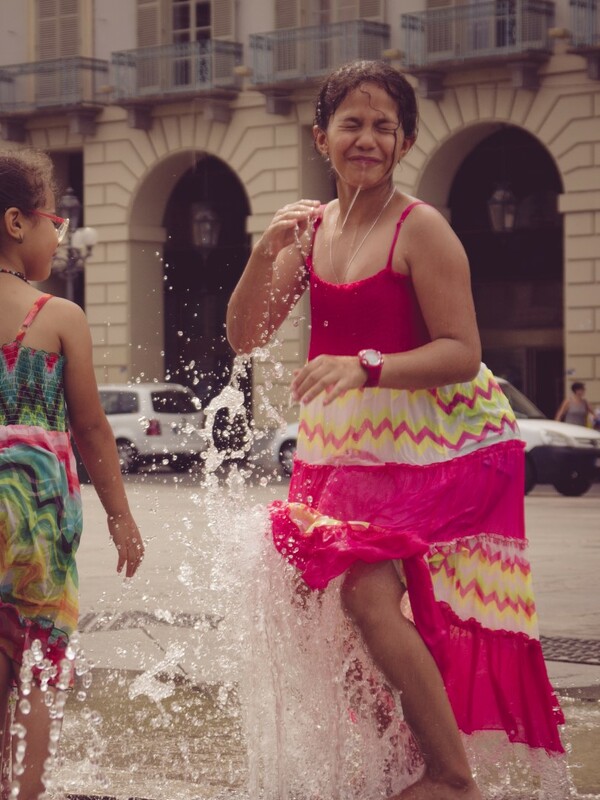 When my boyfriend and I visited Turin in July the temperatures were between 35 and 38 degrees celcius. 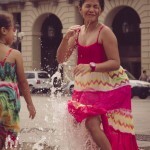 No wonder, everytime we were at Piazza Castello, kids were playing in the fountains. What a lovely sight. 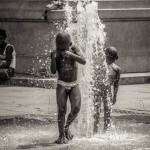 Posted in: Street Photography. 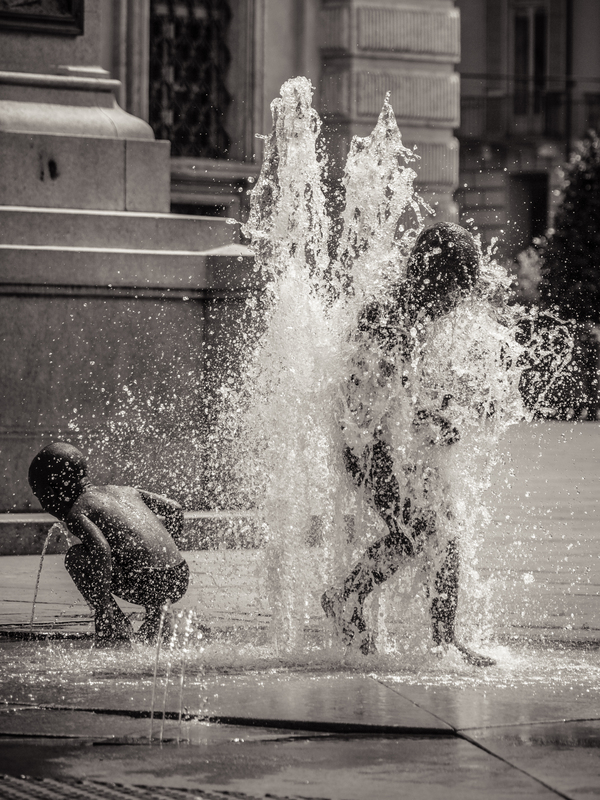 Tags: b&w, black and white, children, city, fontein, fotografie, fountain, italia, italië, italy, Jantje Jonkman, kinderen, outside, People, photography, piazza castello, straatfotografie, streetphotography, summer, Torino, turijn, turin, water, wet.